Tod is a 7 month old chow chow born with a birth defect called "sever hip dysplacia". Long story short, by the time he turns 1, he wont be able to walk, run, let alone play. 2: let him go through a very specialized surgery. The surgery however, will cost around $8000. So I am humbley asking you to donate anything. Anything would be greatly appreciated. Cj, bless you my man for such an amazing gesture. I'm so happy to see, that you want help this little cute friend. Thank you from all of my heart! And quick message to Justin. You are disgusting. Until our sweet violet hurt her leg (ACL,) I didn't realize just how much she meant to us. I'm sitting here giving her meds until we can raise the funds for her surgery. So looking at all the gofundme pet pages is heartbreaking. Cause I realize now, these pets are the best! They ask for nothing, and only care about us and providing us comfort. God is awesome! Any help for my beloved Tugger? He began having cluster grand mal seizures. My campaign is called, Hugs for Tug. Please help! I have rescued many dogs (German shepherds, Rottweilers, Lab and Golden retrievers) here in Taiwan with severe hip dysplasia, tripping and stumbling on their own back legs and dragging their feet so the tops of their paws start getting rubbed away. All were running and jumping and playing within two months just by switching to a raw diet. It really works; bone helps repair bone. Please consider trying that before (and certainly after) surgery. Feel free to message me for more info. Best of luck to you and Toddy. 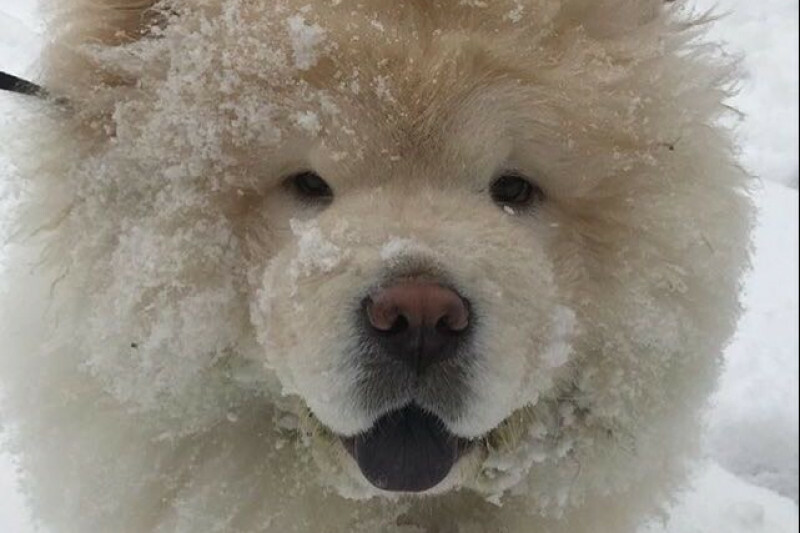 What a beautiful story.. Chow chows are the best dogs ever.. And Spencer Hotz should go to hell! Glad to see you being a responsible pet owner, unlike Toddy's former owner. Hip dysplasia is not uncommon and dogs can live high quality lives, especially since he'll be getting surgery. Good on ya for doing the right thing! Hi please take a look at my campaign to fund my dogs service dog training and please consider sharing! Thank you so much! Hi please take a look at my campaign for a stray kitten. Search Wednesday’s eye enucleation, thank you. hope he recovers well. my Zuezue has it too. I didn’t know it was a birth defect. as it can happen when they are older. I made him a page too. I hope it does aw well as yours did. Https://www.gofundme.com/opportunity-to-continue-my-dreams // Someone Please help me play football this season I am a 14 year old kid and I would love to play this season! Some extra cash for Todd's PT. Wish him a quick recovery! CJ I'm hoping to see videos posted of you tossing this boy a frisbee in the near future. You're a good man!